With only six years of parenting experience, I’ve realized just how EASY it is to fall into the trap of an over-commercialized Christmas, purchasing WAY too many gifts for my children. I’ve tried the “3 Gifts…Just Like Jesus” and “Something You Want; Something You Need; Something You Wear; Something You Read” suggestions, but I’ve always found them to be a bit too limiting. Inevitably, NO MATTER WHAT presents we place under the tree each year, our children are only interested in playing with the box…and THEN the toy (if we’re lucky), but only if we play with it alongside them. Tired of trying to guess what toys will do the trick this year, we’ve decided to try something new… a slight spin on the traditional letter to Santa. Struggling with so many of the silly traditions focusing on a Santa-based Christmas, this is just one of the many ways we’re finding our way back to Jesus this year so we can celebrate the REAL reason for the season. While we fully intend to add a few extra “surprises” to the mix, our plan is working out much better than we’d expected… especially since they’re displaying a certain sense of calmness we’ve NEVER noticed before while waiting for Christmas. I’m not sure if it’s due to the fact they trust we’ll get them what they want? If they feel less pressured, knowing Santa’s NOT watching their every move any more? Or, if they no longer have to worry about our lack of a chimney? It doesn’t really matter… they’re excited about Christmas, and everything the season has to offer, because they know getting gifts is only PART of the package. If you’d like to try this little Christmas experiment alongside us, it’s super simple to set up! 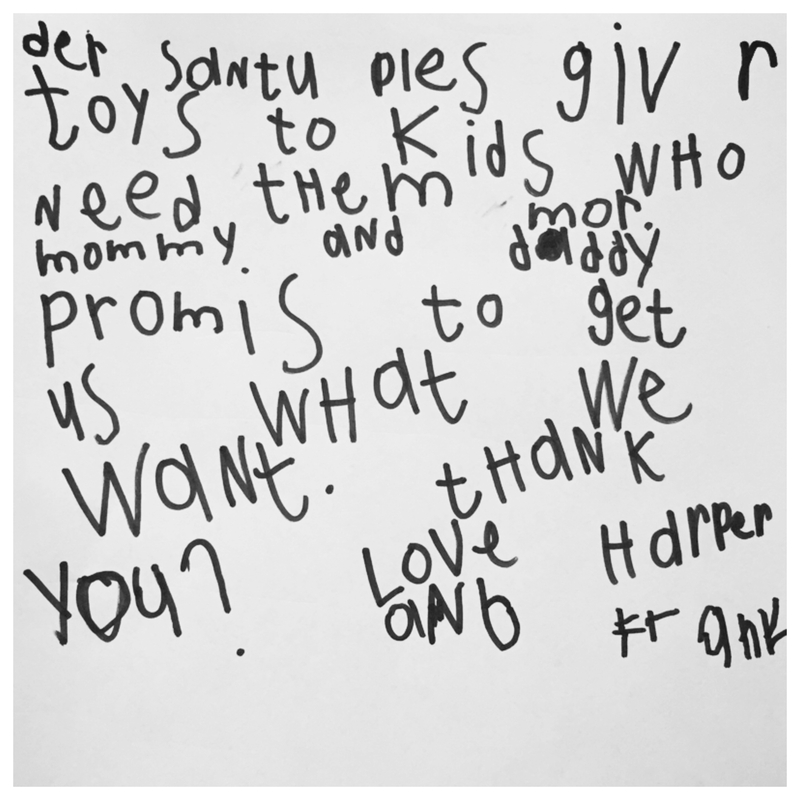 Just remind your kids there are lots of other children who need toys more than they do and, if they’re willing to write a letter to Santa (similar to ours), you’ll promise to get them what they REALLY want this year (within reason, of course!). Accepting the challenge? Please share a photo of your child(ren)’s letter, tagging it with @GivingFamilies and #ChristmasExperiment. Thanks! Consider Jesus’ perspective on Santa. Reconsider forcing children to sit on Santa’s lap. Play with the elf, together. Help your children experience what Jesus meant when he said, “It’s better to give than to receive“ all year long (not just during the holidays). UPDATE (12/16/16): Shortly after writing this post, my daughter lost her first tooth and accidentally swallowed it. For two days, my husband and I donned latex gloves and tried to find it. Yeah… that’s right. The second tooth she lost got lost in the carpet, but the third tooth she lost was promptly slipped into an envelope and slipped under her pillow. Unfortunately, my husband was out of town and, exhausted, I fell asleep early, forgetting to put a dollar under her pillow. It was an accident, I promise! But by that time, I’d had several weeks to debate whether or not we were going to tell her the truth. When Andy came home, we decided the gig was up and confessed that it was me who forgot, not the Tooth Fairy. To soften the blow, Andy dressed up in a tutu and danced around with a wand. It was pretty funny! A few days later, Harper connected the dots and asked about the Easter Bunny and, of course, Santa Claus. In the moment, I didn’t know what to do so I said a quick prayer, and then asked, “Do you want to know the truth?” She said yes, and I told her, explaining I’d never lie to her again. So far, I’ve kept my promise. And I intend to keep it. Her trust in me is more important than perpetuating a lie, or lies. Once she knew the truth, it only seemed right to tell my younger son too. I recently read this blog, however and appreciated the way this woman explained the truth about Santa to her children. Beth Nowak is a believer, dreamer, wife and mother, former Kindergarten teacher, and founder of GivingFamilies.com where she helps parents and children (ages 4+) “make memories while making a difference.” She’s also a mental health activist, TEDx presenter and inspirational speaker promoting civic engagement as a holistic approach to healing. 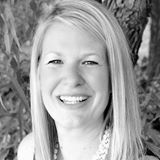 For more information on the many topics she presents on, please click here. Enter your email address to subscribe to my blog, Habitual Helper and receive notifications of new posts by email.